The Airport Car Hire Network is the low cost Car Rental solution for car hire in Portugal and the Island of Madeira with great rates from including Hertz, Avis, Alamo, Budget, Dollar, Sixt, Thrifty and Europcar at all major destinations including the Algarve, Albufeira, Car Hire Faro Airport, Lagos, Oporto Airport Praia da Rocha and Villamour, Villa Mouro, Lagos, Alvor. If you are visiting Portugal for Golf, Business or just to visit the beaches we have the best rent a car in Portugal for you. 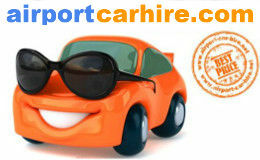 Car hire provides more flexibility and allows you to explore the Algarve at your leisure. 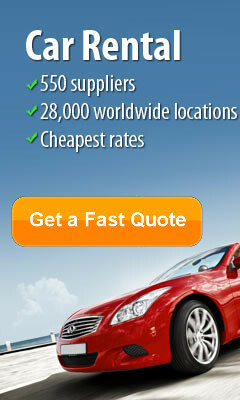 Get a fast & simple quote with no excess or hidden fees. 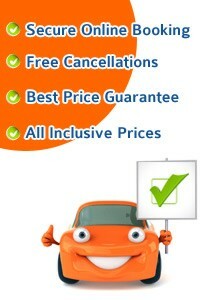 Renting a car on the Algarve? Best deals available at Albuferia, Faro, Villa Mouro, Lagos, Alvor, Playa and Praia da Rocha FIAT 500, the Renault Convertible and even 7 seat mini vans! Lisbon Airport great rent a car deals and the cheapest prices at Lisbon Airport. Occupying the westernmost point in Europe, Portugal is a unique and vibrant country with a rich historical legacy that is still reflected through the architecture and culture that greets visitors upon their arrival. With a wide selection of locations throughout the country, including several Lisbon as well as Azores and Madeira Island pick up points, booking your low cost hire car with www.CityCarRentals.com could not be easier. The capital of Portugal, Lisbon, is dramatically perched by the Atlantic Ocean and atop seven hills, leading to extremely steep and pretty streets in places. Referred to as the ?historic hill?, the neighbourhood of Alfama dates back to the 12th century and is characterized by narrow and winding streets that present a wonderful old world charm and are lined with restaurants and bars in which you can hear traditional Portuguese Fado music nightly. Hopping on a tram makes an excellent way to get a taste for the sights of the city and the number 28 tram is of particular note, winding its way through enchanting Moorish neighbourhoods and past the magnificent Basca da Estrela. In the mountainous north of the country, visitors will find a stunning range of picturesque drives past plateaus and through lush river valleys. The Portuguese coast is lined with some of Europes best beaches and towns and cities, including Aveiro in the north and Faro in the south, that successfully manage to combine a bustling nightlife with a more historic appeal. The rolling plains of the more Mediterranean southern region point further to the startling level of diversity and natural beauty that Portugal has to offer. Portugal is a country that is well worth exploring – from the twisting cobbled alleys of Lisbon’s Old Town to the Religious architecture, imagery and symbolism of Braga, from cosmopolitan, chic and sleek tourist resorts to remote, quaint fishing villages, and from the port producing city of Porto to the golfing Mecca of the Algarve. Whatever your personal tastes and preferences, Portugal has something to offer. And however you like to spend your time and money, make sure you have more of both to spend when you get to Portugal by using low cost Portugal Car Hire with City Car Rentals Portugal from any of our locations throughout Portugal and Madeira. 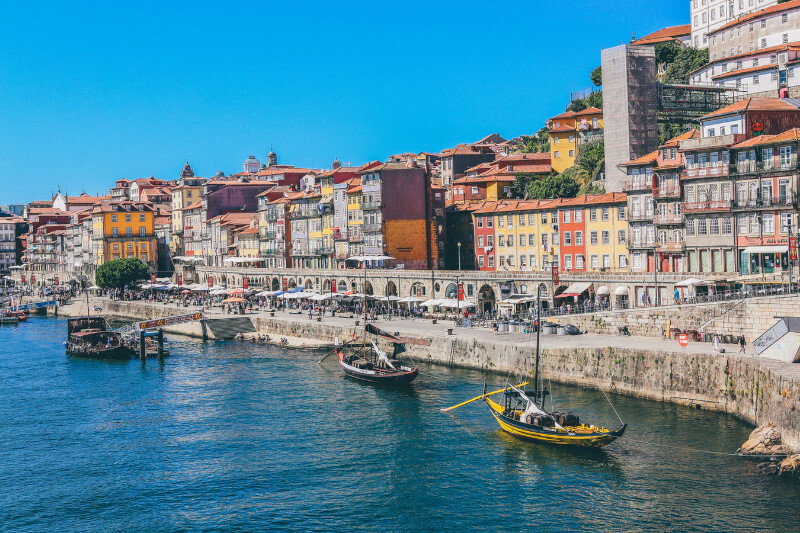 Portugal has the advantage of remaining relatively untouched by the thoughtless mass development and haphazard planning that many of Europe’s top vacation destinations have fallen prey to. The investment of time, money and effort into Portugal’s travel and tourism industry has paid off, as the country is still beautiful and unspoilt by unsightly resorts and hotels. As more and more tourists flock to the country every year, Portugal manages to remain down-to-earth and low cost enough for budget travellers to enjoy. And with the budget-saving deals and cheap prices offered by City Car Rentals Portugal, a thrifty trip to Portugal is never out of reach. Airport Car Hire Network Portugal – with our multitude of convenient locations throughout the country, booking your Portugal Car Hire with us is the easiest, cheapest and quickest way to get on the road. Portugal’s compact size makes it relatively easy to explore quite thoroughly in a short space of time, and the best way to do so - and to experience all of the country’s most favourable elements – is with a hire car. Scenery, cuisine, beaches, golf courses, culture, history, art and nightlife – all are at your fingertips in Portugal, particularly when you are free to go where you like, when you like, in comfort and style with low cost Portugal Car Hire. Are you seeking the most epic Portugal trip that ever conspired? Many hear of Portugal, dream of Portugal, visit Portugal, and even frequent Portugal as a regular getaway; however, most do not completely conquer the country nor realize how to truly discover the territory. If you’re an adventurer who prefers variation over containment to one area, opt to take the reins of your Portugal holiday by driving yourself and exploring any location you deem worthy. Once you have your wheels, you have the liberating option to pull in and out of each town as you please, or if you’re a planner, set out a map with your desired locations and off you go. Nothing is stopping you now, conquistador of the 21st century! So… you’ve made to decision to take on an ultimate Portugal road trip; viagem para Portugal: now what? With an array of airports ideal to begin your journey in the southern coast to jumpstart your trip and make your way around. 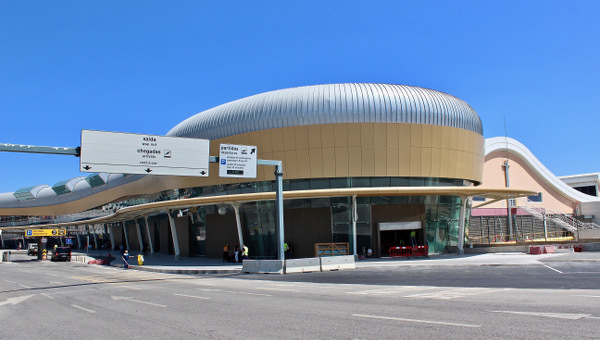 Specifically, Faro Airport is fittingly tucked on the border of the North Atlantic Ocean and is in the southernmost city in Continental Portugal. Here, you can pick up a rental car via several approved companies including Auriga Crown, Avis, Auto Jardim, Budget, Europcar, Guerin, Hertz, Sixt, and Goldcar. With this abundance of options, it is highly suggested to compare your options online prior to your arrival, We are a one-stop shop to efficiently compare the car rental market while saving extra cash for your road trip; furthermore, you can book safely, securely, and confidently as this particular network has been established for over a decade, is trusted by millions, and raves fanatical customer service as they guarantee the cheapest offer possible. Once landed in Faro, you can retrieve your car immediately. The majority of the car rental companies can be found directly outside the busy arrivals hall. Simply pick up your luggage from baggage claim, follow the signs from the arrivals hall to the car rental area, and locate the companylisted on your car rental voucher. Before you set off on your escapade, make it a point to grab some authentic Portuguese cuisine at the number one rated TripAdvisor restaurant in Faro, O Gimbras, where they provide phenomenal service, an inviting ambience, and of course, a delectably delicious dinner. Once you collect your hire car, full belly of local eats, and the open road, how do you choose what town to visit first? Of course, road trips are dependent on time allocated for traveling and individual preferences; however, the following towns are most definitely worth mentioning and should be considered as part of your grand Portugal holiday. If you’re a coastline connoisseur, Praia da Marinha, a beautifully simple cove beach guarded by natural cliffs, is perfect for families and is an ideal first stop while you’re still in Algarve. On the other hand, if you are keen on a younger vibe, check out Praio do Amado, which is also located in Algarve and offers its own widely known surf school on the wild beach of Costa Vicentina. 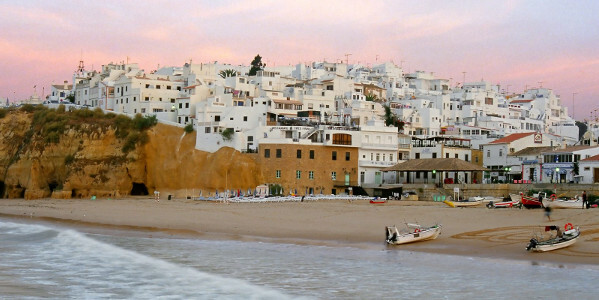 As you move onto the next seaside region of Alentejo, consider two locations: Porto Covo and Comporta, the former as a popular local spot and the latter as a secluded beach with gorgeous views of the surrounding terrain. Once you reach the northern region of Portugal, mix your locations up with various points of interest at each. For example: Galapos, a wonderful refuge or wildlife lovers with natural parks and picturesque landscapes; Caparica, a surf-tastic spot for those interested in catching a wave; Nazaré, a quaint beach town (and you can say you’ve been to the place where the largest-ever surfed wave was located); and Foz do Minho, where you can finish your trip at the northernmost town with a unique shoreline that faces Spain across a colossal river that pours into the Atlantic Ocean. Those who would rather drive north from Faro through the heart of Portugal have a plethora of inland locations to seek out as well; furthermore, you can always see a little bit of both if desired, and these mid-country towns are worth venturing away from the ocean to see: Lagos, a monumental history and a gorgeous place to soak in the ocean before you head toward central Portugal; Évora is home to the country’s most divine Roman temple; and Lisbon, the captivating capital of Portugal. Whether you crave the sand of the Portugal shoreline or the historical substance of the ancient countryside, hiring a car and exploring what the country has to offer will surely satisfy your unwavering wanderlust. You can find more details about touring Portugal here as you prepare for an unforgettably extraordinary getaway. Amadora Pcta Major Cabrita No 1 - Loja 1 C, 2700-543 Amadora. Armacao De Pera Hotel Viking, Praia Sra. da Rocha,, Armacao De Pera, 8400-450, Porches. Aveiro - Downtown Rua Mario Sacramento, no 81 A,, Aveiro, 3810-106, Aveiro. Caldas Da Rainha Rotunda Dos Arneiros, 10-1 Esq.,, Caldas Da Rainha, 2500-283, Cadas Da Rainha. Felgueiras Av.Dr, Leonardo Coimbra, Ed. Ideal Do Marco, R/C Dto.,, Felgueiras, 4610- 105, Felgueiras. Guimaraes R. Teixeira De Pascoais, 614, Azurem,, Guimaraes, 4800-073, Guimares.